The teenage daughter of a pastor was kidnapped on 16 October in Diffa, south-eastern Niger, in what appears to be the first targeted kidnapping of a Christian by Boko Haram-affiliated militants in the West African nation. The kidnappers are likely affiliated with the Islamist group Boko Haram and security forces in Diffa have been alerted. UPDATE (18 October): The pastor’s daughter was found on 17 October in a village 10km from Diffa. She has now returned to Diffa, where she is being looked after by the authorities. The Diffa area borders Nigeria to the south and Chad to the east, and has seen an upsurge in attacks by Boko Haram in recent months. In July militants kidnapped 30-40 women and children and slit the throats of nine other people in the village of Ngalewa, while a month earlier two female suicide bombers attacked a UNHCR camp for internally displaced people (IDPs) in Kablewa. In February 2015 Boko Haram launched its first attack on Niger territory, targeting Diffa and the nearby town of Bosso, causing thousands to flee. Following the violence several NGOs had to suspend operations and all the churches in the region were closed. Niger’s minority Christians have experienced increasing difficulties in recent years, with tensions flaring up between them and the country’s Muslim majority. In January 2015, following the Charlie Hebdo cartoon of Prophet Muhammad, more than 70 churches and over 30 Christian homes were destroyed. The anti-Christian violence, condemned by the authorities and the Islamic Council of Niger among others, had come as a surprise as the Sahel country had previously been known for its relatively peaceful religious cohabitation, even though more than 98 per cent of Niger’s 17 million inhabitants are Muslim. 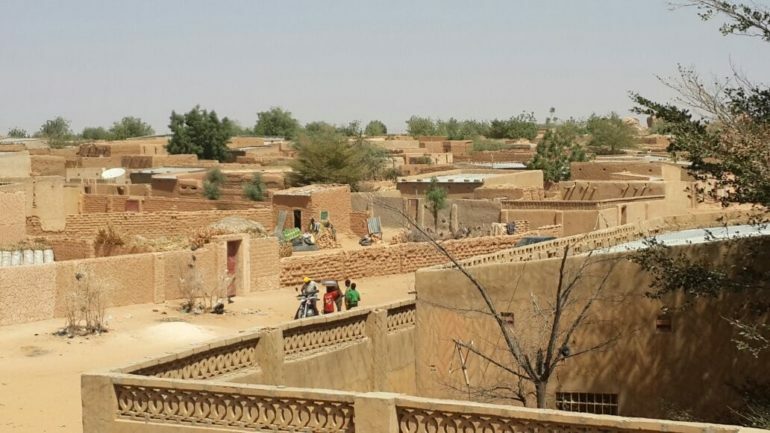 Analysts note that the increase in anti-Christian violence is the expression of a growing intolerance in Niger’s society, aggravated by the rise of Islamism. Meanwhile Boko Haram continues its cross-border raids. 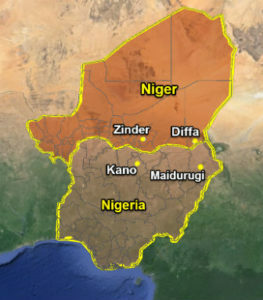 While the rebel movement originates from Nigeria, it is “believed to be operating in Niger from largely abandoned islands in Lake Chad”, news website IRIN reports. “Boko Haram’s strategy appears to be to grab what supplies it can ahead of the rainy season, when rising water levels will make crossing the Komadugu River – which flows along the southern border with Nigeria – all the harder”.